ReBicycle is organising a mini Bike Rodeo at Newtown Festival with a bike playground for children in Gordon Place. The course will include fun stuff such as a seesaw, balance boards, slalom, and a range of textures. The aim is for kids to have fun while building skills and gaining confidence: children learn by playing. Bikes and equipment for children from ages 2-10ish will be provided, and there will be trained volunteer instructors to help. All kids with all levels of ability or difficulty can take part. 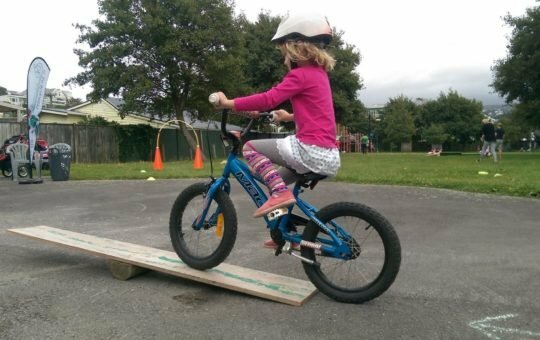 ReBicycle is supported by the Wellington City Council Communities on Bikes Fund, Nikau Foundation, The Tindall Foundation and Thankyou Charitable Trust.